With the celebration of independence day in the USA, I've been thinking about you and your freedom. Is it weird that while I'm at the lake in Texas with my family, I think of you? You'll see how this all ties together in a minute. One of the things you tell me you want most is freedom. Then I hear all kinds of magical (read: unrealistic and frankly, undesirable) dreams of freedom like traveling the world with unlimited money, no cares and never having to work. (I've had friends who lived that kind of freedom. A life plan that revolved around spending the winter surfing in Australia and the summer at the house in the Alps left my friends purposeless and depressed. Even that kind of financial and location freedom didn't yield the happiness so many of you really want). So what's up with this whole freedom and independence thing? You traded your freedom and independence for things you value (or things you think you value). Another example: You have a job. You want to please your boss. You want to do "good" work. You trade your freedom and independence for financial rewards, pleasing others, a sense of purpose, fitting in, and taking your career to the next level. Conscious choice is the key to freedom. Did you trade your freedom and independence intentionally? Many people get married, have children, live in certain locations, take certain jobs or pursue certain careers stumbling through the morass of family and societal opinions about your next "right step." You might not know you've traded your freedom until you feel stuck, wonder how the hell you ended up in that mini-van, or something significant changes in your work or personal life leaving you confused about how you ended up where you are and what to do next. This was me 6 years ago. Freedom is not free. Freedom and independence come with responsibility.When you make the choices, exercise your independence at work, and determine your own schedule, YOU are responsible for your results and failures. When you choose independence, you trade security, stability and shared responsibility. There is no one to blame. Which brings me back to the lake house. I choose to structure my life and work to give me freedom to travel and raise my children. That means I am responsible to you, each week, with every program I create, and every comment I put in public, regardless of where I am or what I'm doing. My business and all of you go with me everywhere. I like it that way because I've chosen it. How are you choosing your freedom and independence? I love to hear from you. 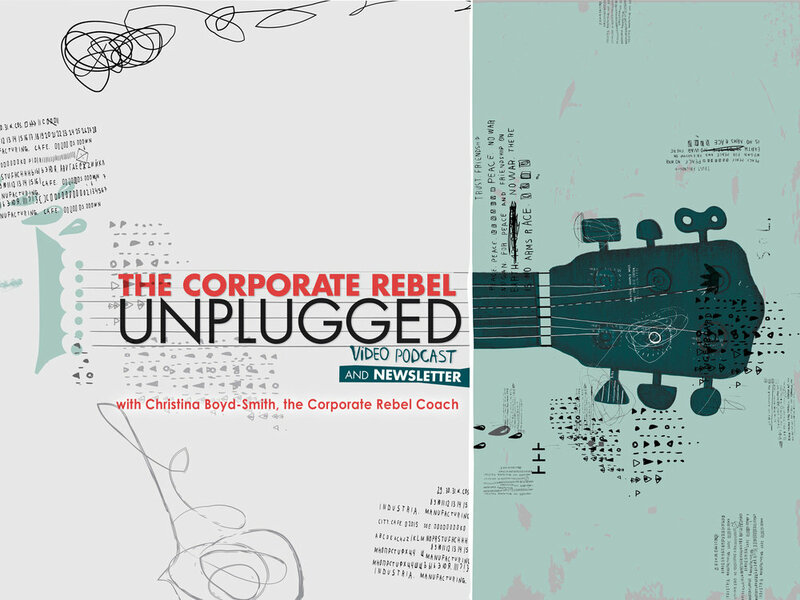 Email me at christina@boydsmithcoaching.com and let me know what you think or join the conversation in the Corporate Rebel HQ Facebook page. All are welcome! Click here to join. P.S. You can join more Corporate Rebel fun and insight in the Corporate Rebel HQ Facebook Community. Click here to join.